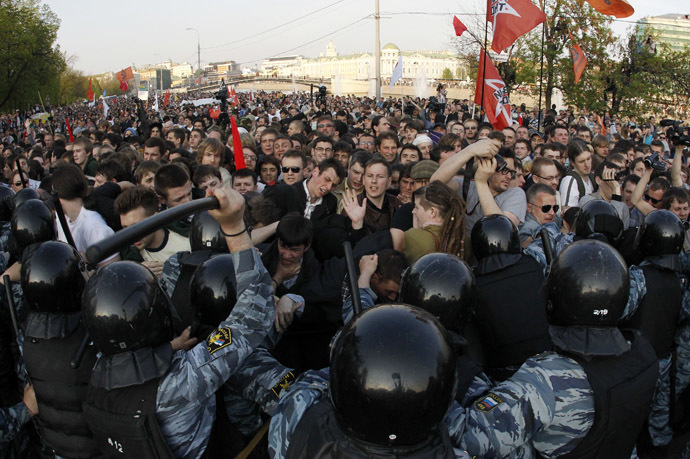 Russian prosecutors have asked for eight-year prison terms for the two main suspects in organizing the mass unrest at the 2012 rally against alleged violations at parliamentary elections. 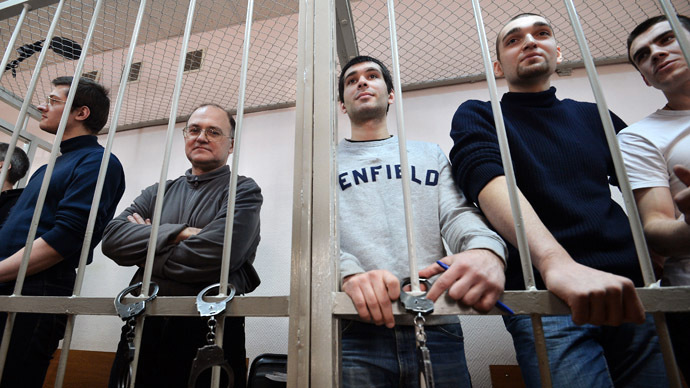 Sergey Udaltsov and Leonid Razvozzhayev are standing trial for organizing the mass riots that have already resulted in several convictions and sentences, as well as one court order of compulsory psychiatric treatment. 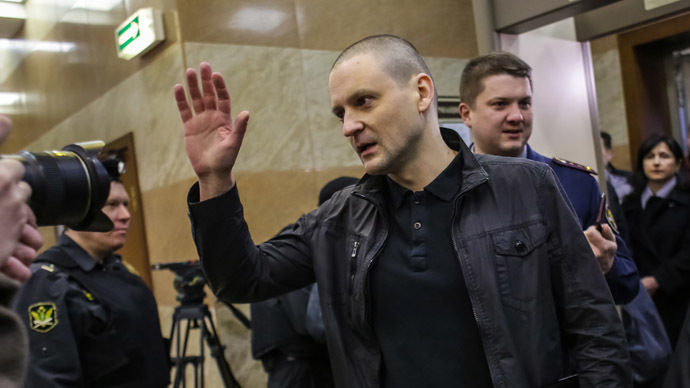 According to investigators, the head of the unregistered political movement Leftist Front, Udaltsov, and his aide, Razvozzhayev, prepared and provoked the clashes between protesters and the police and also planned to repeat the riots in other parts of the Russian Federation. They also claim that the operation was ordered and finance by Georgian politician Givi Targamadze, described by the mass media as leading expert in the so-called ‘color revolutions’ – street protests against allegedly undemocratic steps of the authorities that lead to quick change of the political regime. Russia’s top law enforcement agency, the Investigative Committee has made public a video record of the two suspects meeting with Targamadze in the Belarusian capital, Minsk, and discussing the details of their operation in Russia. 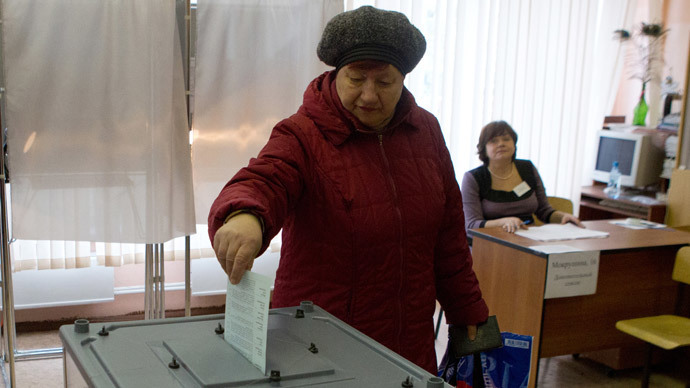 The committee also started a criminal case against the Georgian politician, but so far cannot bring him to justice because he prefers not to enter Russia. Udaltsov at first denied ever meeting Targamadze, then changed his plea and said that he only met him to discuss some common projects in the liquor business. 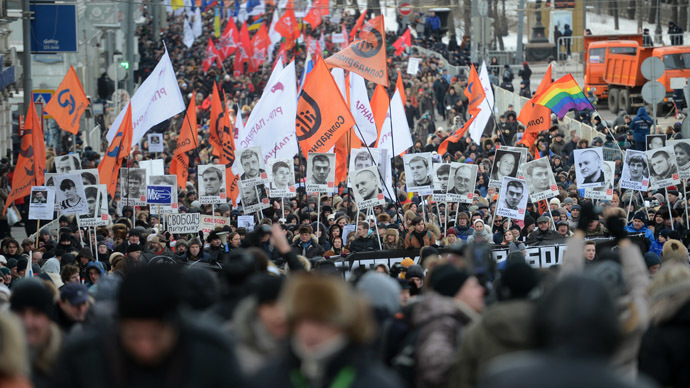 He also said that the meeting with Targamadze had been organized by Leftist Front activist Konstantin Lebedev, and Razvozzhayev had only driven them from Moscow to Minsk. However, Lebedev’s testimony asserts that the investigators are using as another key piece of evidence. He has entered a plea deal and received a sentence of two-and-a-half years, which was consumed almost completely by the pre-trial custody period. In early May, Lebedev was released. 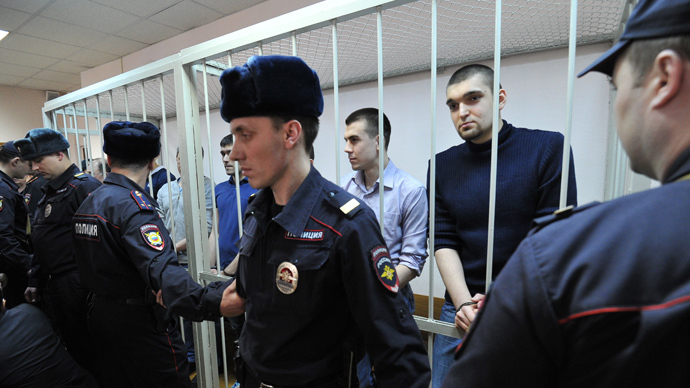 Razvozzhayev remains in pre-trial custody, while Udaltsov is under house arrest. The maximum punishment for the crime of organizing mass unrest that results in violence or destruction of property is 10 years behind bars.